I can’t believe we’re already two months into 2018. Recently time seems to be flying, or is that just a by-product of getting older? One thing I have promised myself this year, is to make the most of each month, and that includes experimenting with new beauty products. 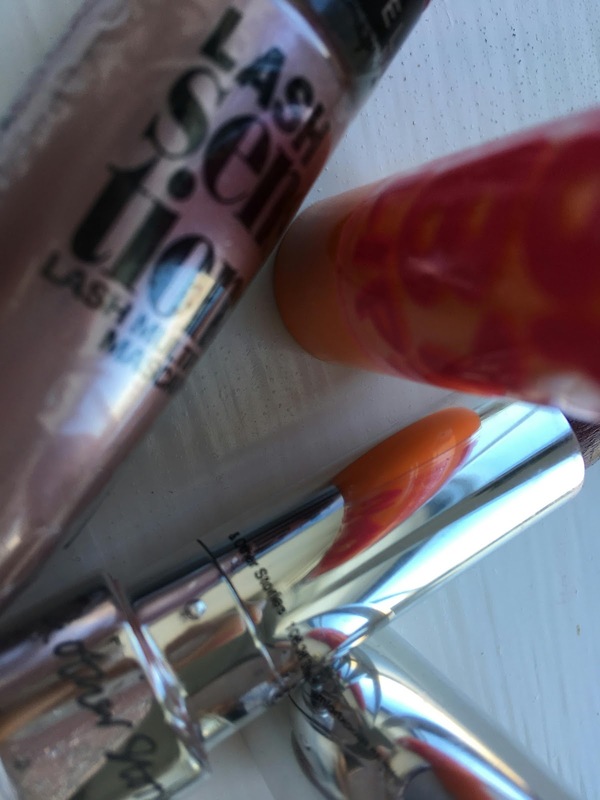 So here’s the low-down on some of my beauty- related favs with a couple of others thrown in for good measure. 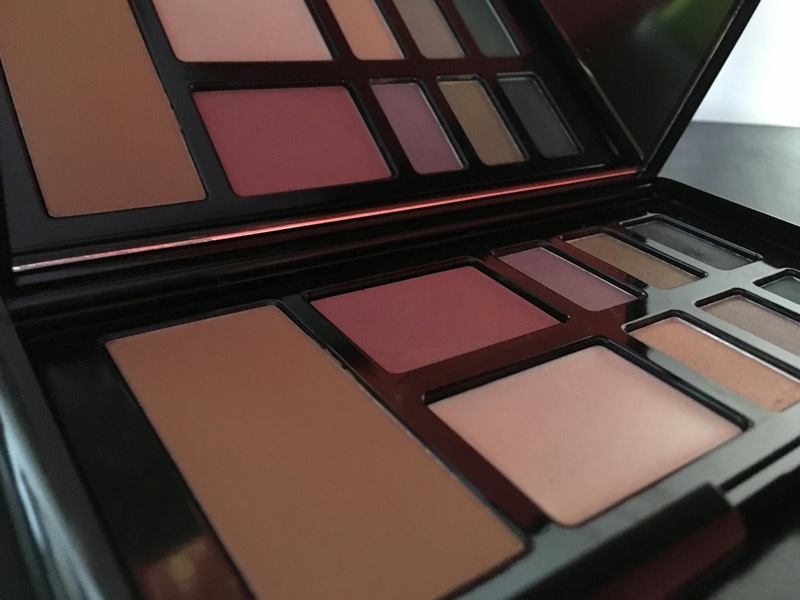 I received this palette as a gift and typical me, was sold on the slick packaging before even viewing the goods. Rosie Huntington-Whitely has become one of the faces of Marks and Spencer in recent years. As a model she exudes glamour and sophistication, and it’s that which is reflected in her Anniversary palette. The simple and classy cream and gold packaging hold a smooth, gleaming black case that fits perfectly into your hand and easily unclips open. Inside: midnight blue, dusky gold, silky purple and deep green eyeshadows. You can create multiple looks with these for the evening and even for the day. The pigment isn’t as strong as some of my other eyeshadows, but they blend well, creating a naturally beautiful look. 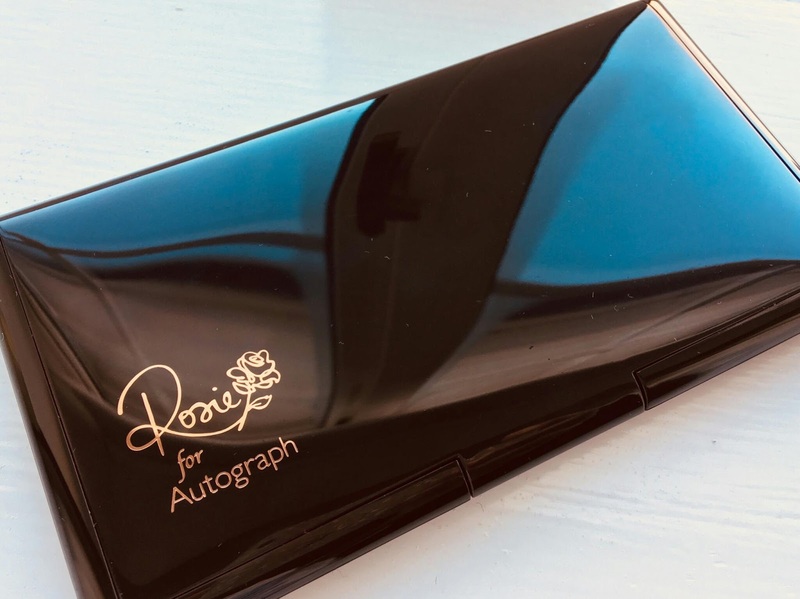 Probably made to suit Rosie’s skin, unfortunately the blusher and bronzer are too light for dark skin tones and brushes are not included so get ready to find some or get your fingers messy, but the wide mirror makes this palette a handbag essential. My Ted Baker makeup bag is perfect for ensuring I only carry my essential beauty products in my handbag (I know, I know, I don't wear much makeup). I believe it's technically meant to be a pencil case but I think it's only right to carry girly things in such a girly-looking case. 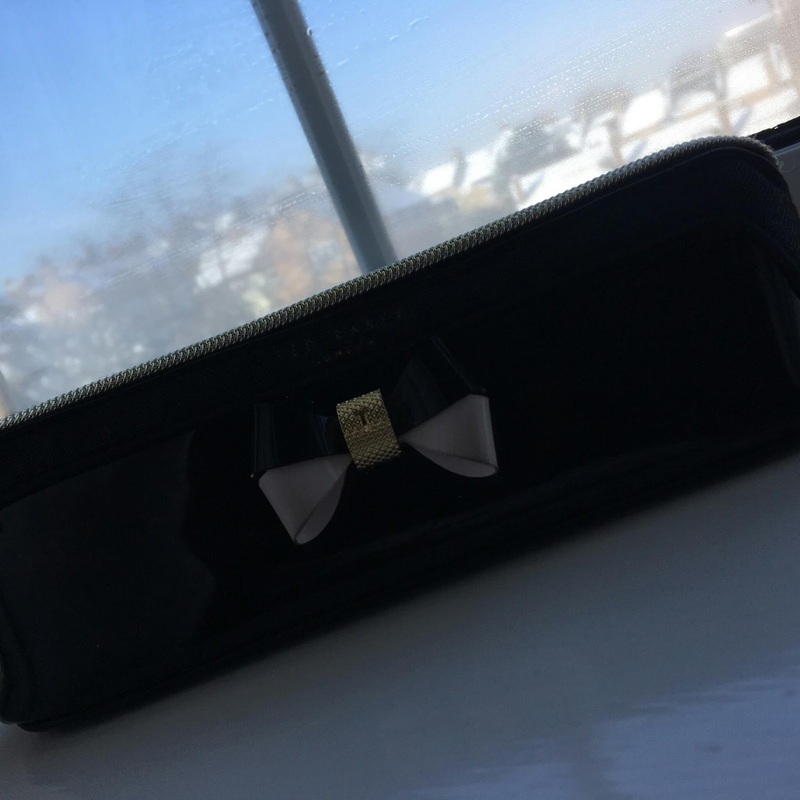 I have always loved the classic TB design and the adorning oversized bow in contrasting colour to the case itself is pretty, timeless and chic. My first ever mascara was a Maybelline mascara and little did I know how good I had it until I explored using other mascaras (drugstore and high-end). Nothing compares. Like its others, upon impact Maybelline's Lash Sensational Lash Multyplying Mascara instantly transforms your eyelashes. It only takes a stroke to see that it definitely does what it is designed to do as well as lengthen and volumise. I'm on to my third Maybelline Baby Baby Lips balm. The rich reddy- pink hue suits dark skin tones and it is intensely moisturising. This & Other Stories lipstick is great for dark skin tones or just for those who love a bold lip. For a store that mainly sells clothes, & Other Stories have surprisingly got the formula right with their lipsticks. Mine is moisturising, long-lasting with a strong pigment. 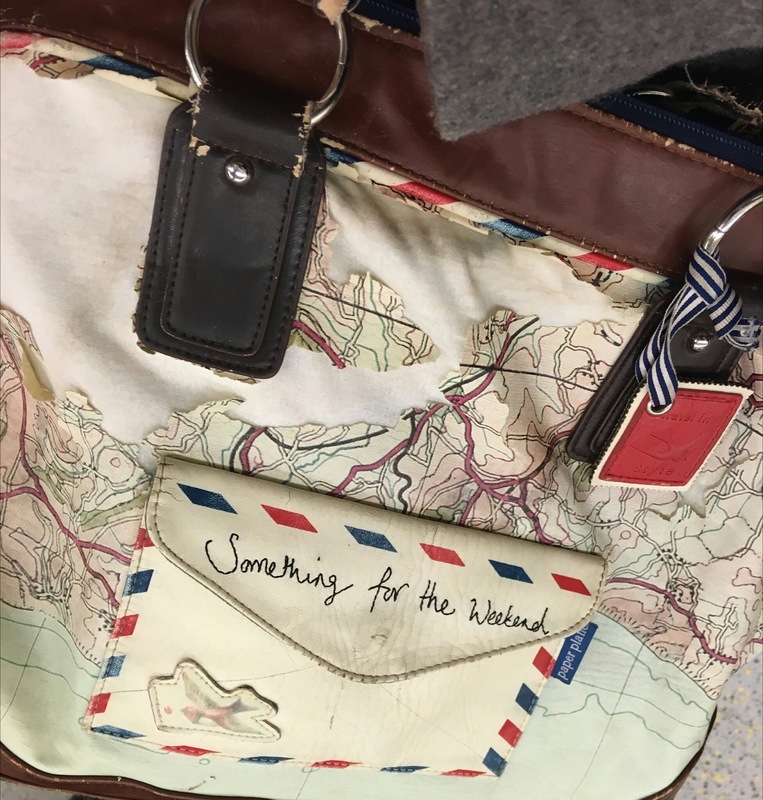 If a 'throwback' is posting an old photo online, I have had a fashion throwback, as I'm back to using this bag after years. I wouldn't usually start wearing a fashion item again after so long, as there's usually a reason why I stopped in the first place. 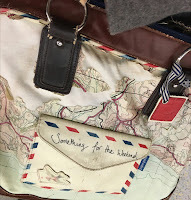 Most of the time, like this bag, I get bored of something and need to change things up. Throwing it over my shoulder again was an odd feeling, especially having so many old memories associated with it, but it also made me realise just how much I love it again and how it doesn't go out of fashion. It's mail/voyage theme is original, so much so I haven't seen anything else like it. Anyone who knows me, knows I love my scents. Not just perfumes but candles too. They have to be of a good quality and fresh. Welcome: Parks’ Aromotherapy candle in Figuier (French for fig tree). Fig, just like fresh linen (another favourite of mine) is a subtle scent with a hint of sweetness. The fig aroma however, has a warmth, like vanilla, that is soothing, but more unusual and nearly woody. 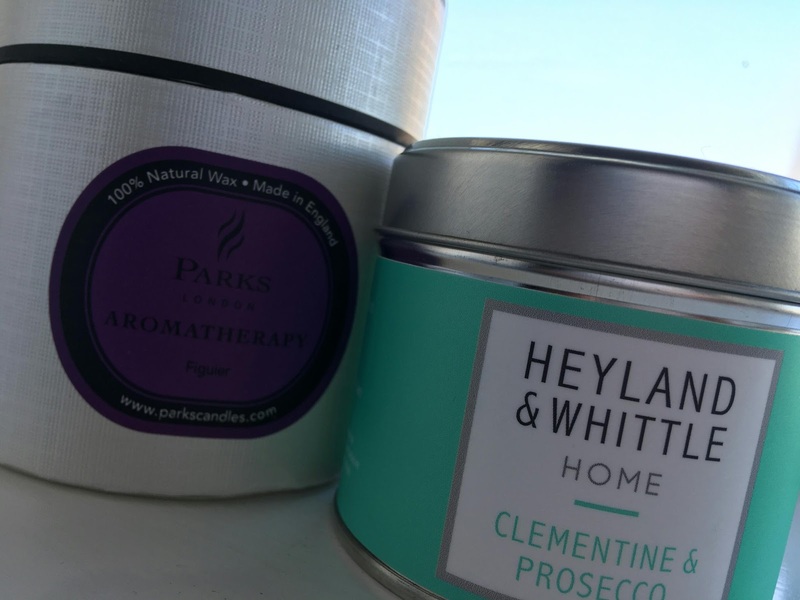 If you have not tried Parks’ Figuer candle before, or just a fig scented candle, I highly recommend it, especially for a relaxing bedroom or living room atmosphere. 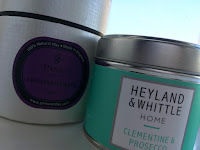 I can’t wait to use my Clementine and Prosecco Heyland and Whittle candle, at different times of course. I’ll let you know how it goes!